July 2018 - Readers of a national product testing and research magazine rated American Standard air conditioners and heat pumps as the most reliable brand among leading manufacturers. In a survey with over 16K consumers, there was a 21% difference between first and last place in heat pumps and a 10%difference between first and last place in air conditioners. Readers of a national product testing and research magazine rated American Standard Heating & Air Conditioning’s natural gas furnaces, air conditioners, and heat pumps as the most reliable brand among leading manufacturers. 2016 - Design Journal and Archinterious AccuComfort™ Platinum 18 Air Conditioner has been recognized as one of the best products of 2015. The AccuComfort Platinum 20 and Platinum 18 were recognized as some of Contracting Business’ favorite products of 2015. AccuComfort™ Platinum 20 Heat Pump has been recognized as the Gold Award winner in the HVAC Residential Equipment category. 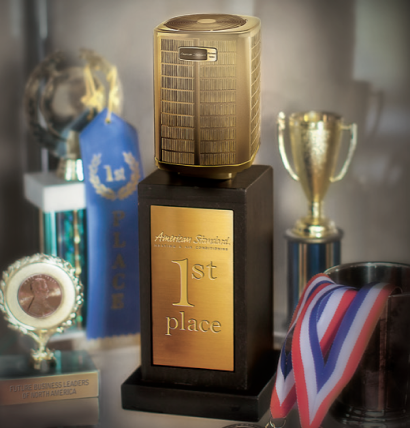 AccuComfort™ Platinum 20 Heat Pump has been recognized as one of the best products of 2014. In a survey of nearly 34,000 subscribers American Standard natural gas furnaces were rated as the most reliable brand among leading manufacturers. In a survey of more than 21,000 subscribers American Standard heat pumps and air conditioners were rated as the most reliable brand among leading manufacturers. Honored in the HVAC Residential Equipment category for The ACHR News. In a survey of 32,251 subscribers American Standard furnaces bought between 2007 and 2012 were again rated as one of the most reliable brands. In a survey of more than 40,000 readers American Standard was named the most reliable brand of air conditioner and heat pump installed between 2005 and 2011. In a survey of 32,550 readers that had purchased a new system between 2002 and 2008,American Standard was again rated as one of the most reliable brands. American Standard AccuClean whole house air cleaner was the top rated electrostatic precipitators with an overall score of 89. American Standard was recognized for excellence in product design by an independent panel of 45 contractors acting as judges on the contest that had 112 entries from 75 manufactures. Reader’s Report: Their survey on central gas furnaces installed between 1997 and 2004 of over 36,000 respondents showed American Standard as the brand requiring the least repairs. 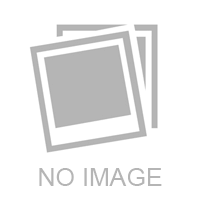 Freedom 80 gas furnaces have been designated as a “Best Buy” in the furnace category. A“Best Buy” is a product identified as a great value in the marketplace. Results of a reader survey questionnaire rated American Standard air conditioning the“Most Trouble Free” of the 14 leading brands.